There is a lot that must be done when renovating or building a church building: conducting feasibility studies, interviewing architects, searching for construction companies, and raising capital funds. Wouldn't it be great to have someone who could help you with all of this and much more? At one point, I actually took a designer's rendering of a project and redrew the entire design to scale so he would see what we needed. It would have been so much easier to have had someone walking along side me from the beginning to the end of the project. CREATE: Steps to Church Design is a way for you to think through what you will need in order to see a church building or remodeling project through from start to finish. It is part of a design process from 4:12 Network Member, COSCO & Associates. You need someone to join with you to cast your vision by passionately working to grasp and communicate the unique DNA of your church through extensive ministry, building, demographic, and financial analysis. CREATE THE RIGHT TOOL: Unless the LORD builds the house, they labor in vain who build it. You need a someone that creates trusts through transparency by communicating ideas and costs clearly allowing ministry leaders to be informed, interactive, involved and ultimately, confident that the design decisions being made provides the best tools for ministry while achieving your goals at the best value possible. You need someone who can bring together the design/build team early in the process. All team members work in unity from the beginning to create the best value solution that protects the ministry and gives you the right tool to do what you do best: ministry. We know that God’s timing is perfect and in that, you need someone to seamlessly move through master planning all the way to celebrating and dedicating your new facility at a pace that is comfortable for the church being careful to execute each step to maximize momentum and fundraising development. You need someone who can create a best value solution with a guaranteed maximum price (GMP). By establishing a budget, designing to that budget, and staying within that budget, the right company can provide the right price for your project. You need someone who will help you partner with correct fundraising consultant and lenders so you can raise the funds needed for your building program, pay it off quickly, and become better stewards of the resources with which the Lord has entrusted you. Cosco & Associates - Hiland Park Baptist Church, Testimonial from Cosco & Associates on Vimeo. If there’s a company designing and building with a purpose, it’s COSCO & Associates Inc. (COSCO). 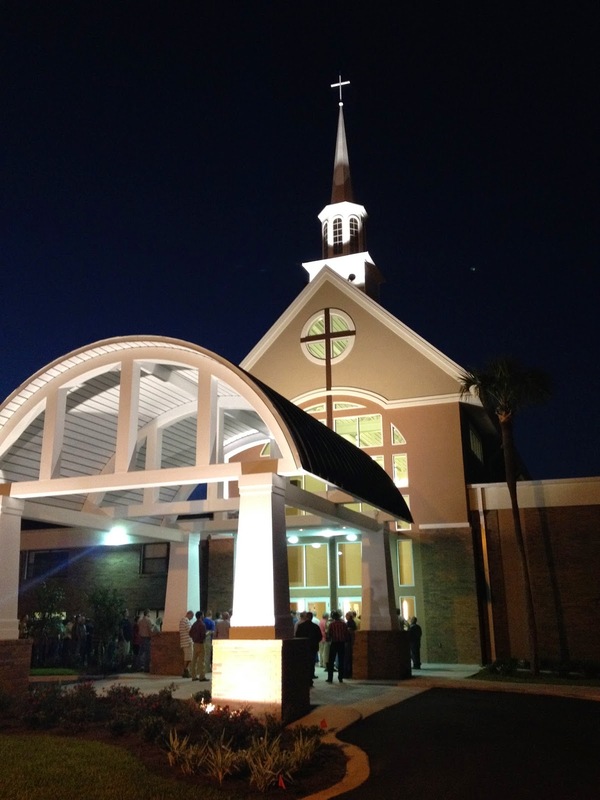 This Florida-based complete design-build firm is solely dedicated to getting religious facilities off the ground. From feasibility studies and planning to fundraising and financing, architecture, engineering and construction, COSCO is there every step of the journey.